It's time for The Great Food Blogger Cookie Swap! For the past three years food bloggers across the nation have signed up to participate in the swap where they send three food bloggers a dozen of their favorite cookie recipe. Besides being a fun way for bloggers to interact the cookie swap also benefits a wonderful charity! 100% of the blogger swap donations benefit Cookies For Kids' Cancer, a national non-profit organization committed to funding new therapies used in the fight against pediatric cancer, which claims the lives of more children in the US than any other disease. If you're a food blogger and want to participate next year make sure you sign up for notifications here! I received some amazing cookies from three fabulous bloggers! The Marvelous Misadventures of a Foodie sent delicious Nutella White Chocolate Chip Cookies, Eggnog Pecan Cookies from Home Baked Happiness and last but definitely not least some delightful Dutch Spritsen Cookies from In My Red Kitchen! Thanks to all my blogger matches for sending over such delectable sweets! 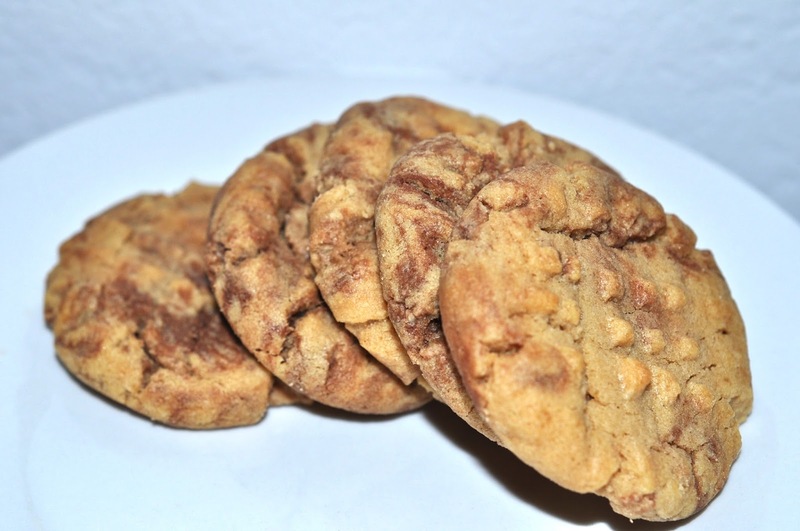 For my Cookie Swap matches I decided to send some Nutella Peanut Butter Swirl Cookies because really, what's better than Nutella and Peanut Butter? That's right...not much. Two things wonderful on their own but even greater together, these cookies are sure to be a hit among your fellow sweets lovers. I added more Nutella than the original recipe called for since I really wanted to taste that chocolate-hazelnut goodness but I think next time I'll add even more. Or maybe even swap the recipe so that the Nutella is the main part of the cookie, like a chocolate cookie and add swirls of peanut butter. Sorry, getting off topic, thoughts of Nutella jars dancing in your head will do that to you. 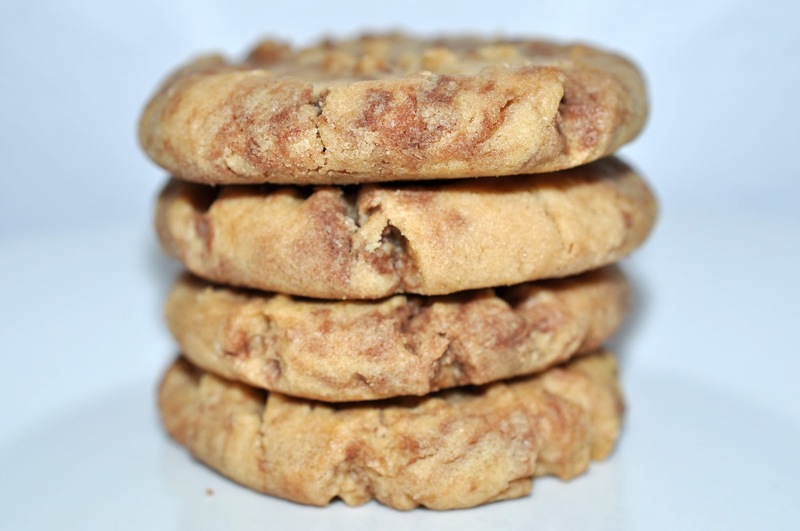 The cookies were crunchy and very reminiscent of Peanut Butter Criss Cross Cookies but with the added taste and lovely look of Nutella swirling through their golden brown hue. 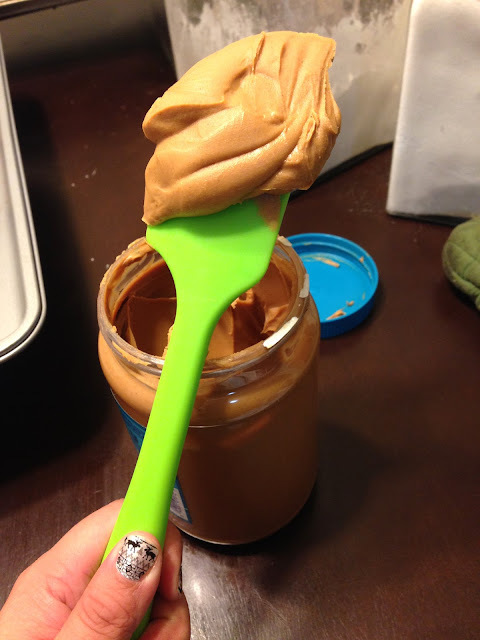 I used my handy dandy GIR Spatula to help with the peanut butter/Nutella part of the recipe. It's not just a silicon spatula it's a multipurpose tool that can be used for sautéing, stirring, folding (perfect for when I'm making macarons) and even more handy for getting sticky ingredients out of small jars. I got my spatula in lime green since it's my favorite color but there's a wide array of shades including a limited edition Bacon print. This recipe is super easy to follow, the longest part is the chilling of the dough but even that only takes 15 minutes! Make sure when you're adding the warm Nutella to the dough that you mix everything up all nice and even so you get those gorgeous swirls in your cookies. Beat together butter, peanut butter, brown sugar and 1/2 cup granulated sugar until light and fluffy, about 2-3 minutes. Add in the egg and vanilla and beat until well combined. In a separate bowl, whisk together flour, baking soda, and salt. Add the dry ingredients into the your butter, peanut butter sugar mixture until just combined. Microwave Nutella for 20 seconds and then drizzle over the dough. Fold in Nutella with a spatula until well-distributed throughout the dough. Chill the dough in the fridge for at least 15 minutes and then roll into small balls about a tablespoon sized by hand. Place about an inch apart on a parchment paper-lined cookie sheet and use a fork to press down the balls slightly. Dip the fork into 1/8 cup of granulated sugar between cookie criss-crosses. Bake until the edges are lightly browned, about 8-10 minutes. Allow cookies to cool on the pan for 2 minutes, and then transfer to a cooling rack to cool completely. Those looks delicious! I participated in the swap the first year and it did not go well. :D oh well! I would have loved to receive these cookies though! Once again, you are killing it! Do you think I can swap regular flour for whole wheat pastry flour? I figure that might be a tiny bit healthier....?